I bet an answer (some answer) just popped up in your mind, right? Of course it did. After all, we're dealing with one of the most iconic characters in Pop Culture. Even if you never read a single Wonder Woman comic book or seen any episode of the famous 70's TV show starred by Lynda Carter, you'd still know who I'm talking about. 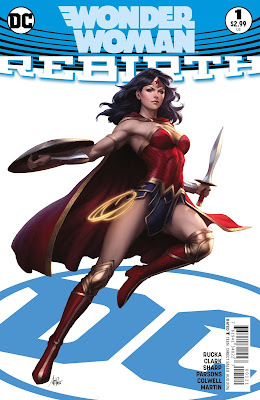 Then, again, who's Wonder Woman? That's a question Diana herself cannot answer at this point. She got lost in her own legend, her own myth. She doesn't know who she is or where she really came from. What she made out of clay and sand, brought to life by the power of the Gods? Or is she the daughter of the one God, Zeus? Was she really an only child? 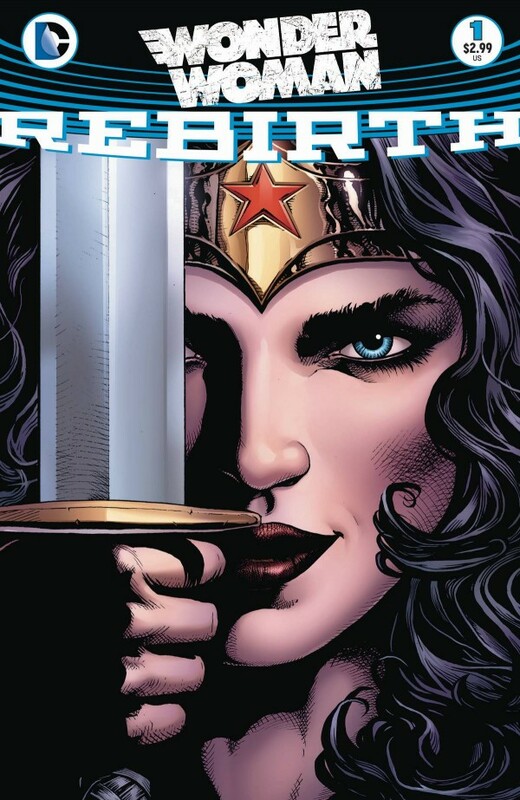 If not, what are the other secrets the Amazons have been holding from her? For a person who takes pride at truth and justice, it can be a little of a disappointment when she can't even be true to herself. 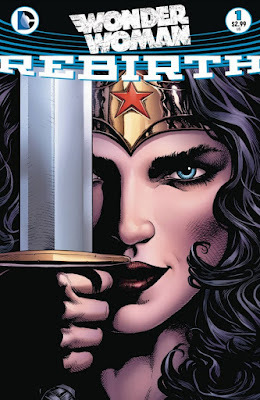 Greg Rucka the writer responsible for the new Wonder Woman title is taking us in a journey. A journey for the truth, for self-discovery and we follow his lead as Diana undresses herself from her old persona and is reborn with a new attitude. There's no much room to cry about or revisit the past: Diana's is stepping forward, towards revelations that will change everything she thought she knew. And this issue is just the beginning. About the art... To be honest I don't like it very much when we have more than one artist in the title. It kind of breaks the experience for me. Even though they share many similarities, the change of style from a page to another is underwhelming. Nevertheless, what's coming for Wonder Woman is very exciting and something to be looking forward to. While the odd numbered issues will deal with stories in the present, the even ones will deal with the "Year One" events, that comes to unify once and for all the origins of the Amazon Princess. This issue left me begging for more. I think it's never going to be as good as the George Pérez run, but I'll give it a try. Who knows? I may be surprised!